“Nature deficit disorder” has become an increasingly challenging problem in our hyper modern world. 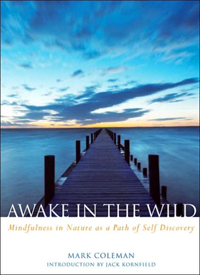 In Awake in the Wild, Mark Coleman shows seekers how to remedy this widespread malady by reconnecting with nature through Buddhism. 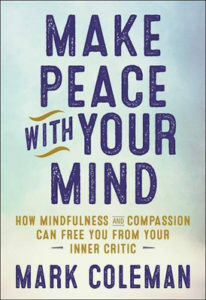 Each short (two to three pages) chapter includes a concrete nature meditation. Incorporating anecdotes from Mark’s many nature retreats, Buddhist wisdom and teachings, important nature writings by others, and nature itself, the book invites readers to participate in, not just observe, nature; develop a loving connection with the earth as a form of environmental activism; decrease urban alienation through experiencing nature; embody nature’s peaceful presence; and connect with ancient spiritual wisdom through nature meditations.